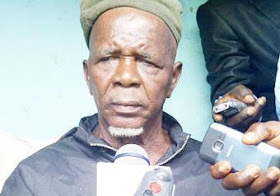 The leader of the dreaded cult group named Ombatse that killed over 50 people in Obi town, Nasarawa state few days ago is dead. According to the latest information coming from the Nigerian Army, the unnamed leader of the group was killed today while 3 other members were arrested and whisked away from Obi town for further investigation. This story was confirmed by Nasarawa state Police spokesman, Mr Cornelis Ocholi. He told reporters this afternoon that 3 people were killed in a gun battle with the army and 4 people who sustained serious injuries have been taken to Dahaltu Specialist Hospital (DASH) and responding to treatment. According to sources, some key members of the warring Alago tribe and Eggon have also been arrested and brought to the Police Headquarters. An ethnic clash had occurred between Eggon youths reportedly linked to the Ombaste cult group and Alago people of Obi local government all of Nasarawa state. Stay in touch as this story develops. I find it hard to believe Nigerian army again. All to high their dirty ranks. why this news? is nasarawa people contributing anything good to nigerians? are they Ibo people that produces everthing and import everything for the development of nigeria? what we get from the north is terror and nonsence from the west, what again? whats the name of this leader, and no proof that he is dead beyond NA claim? D truth is yet 2 b told of dis matter.